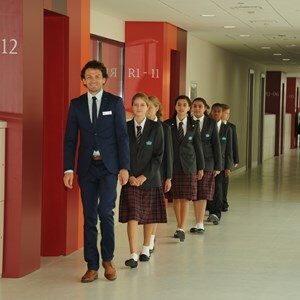 At Nord Anglia International School Dubai, we are dedicated to making sure your child not only receives the best education in Dubai, but also a school life that encourages them to become a confident, open-minded person. One in three of our graduates go on to attend one of the world's top 100 universities as ranked by QS World University Rankings www.topuniversities.com. Our students' average score in the IB Diploma was 34.0, significantly ahead of the 2016 global average of 30.1 points. The world is changing all the time, and we believe it is important to encourage your child to be adaptable and explore new ways of tackling challenges. This generation will soon be in a position to shape the future, and we will help give your child the confidence to embrace all the opportunities that lie ahead. Your child will be enrolled in a truly international environment, learning and socialising with students from all over the world. Nord Anglia Education's Global Classroom will also encourage them to meet and compete with students from our other schools worldwide, both online and through exchanges. 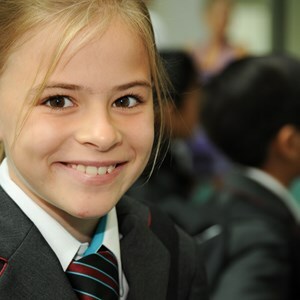 Every Nord Anglia Education student is encouraged to develop good character as well as good grades. We emphasise the importance of respect, good manners and a wider world view, traits that will serve your child well in years to come. Students are encouraged to take on leadership roles, and to embrace collaboration, perseverance, risk-taking, empathy and creativity.